Enjoy delicious Scottish food from The Plough, matched with five fine drams from Glengoyne, Tamdhu and Smokehead for this decadent celebration of the life and works of Robert Burns. 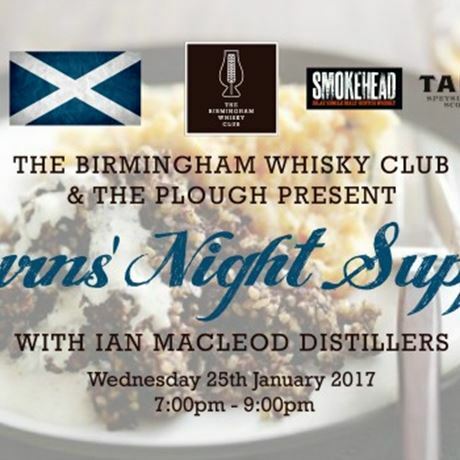 7pm – Head upstairs to the private dining room of The Plough for your first whisky of the night and a welcome from Ian Macleod. 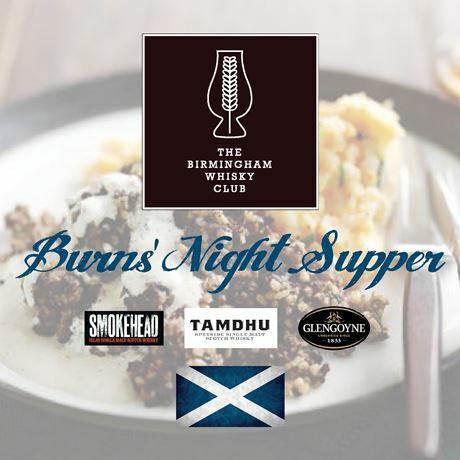 7:15pm-9:15pm – Enjoy an excellent four course Scottish meal (vegetarian option available), expertly matched with whiskies from the Glengoyne, Tamdhu and Smokehead range. As you're enjoying your meal, learn more about these whiskies and what makes the independently family-owned company so passionate about the whisky it produces. 9:30pm – Although the meal is over, please feel free to stick around. Anything you were afraid to ask? Grab our resident expert and have all of your queries answered. No refunds or transfers. Event is strictly over 18s only. If you're lucky enough to look under 25, please bring your relevant photo ID to the event with you. Tickets are sent in e-ticket format. Please bring a print out of these or have them ready on your phone/tablet for scanning on the day.